As those of you who followed Adham's progress on his Nottingham tram system record attempt on BBC Radio Nottingham's breakfast show already know, Adham broke his own record for the fastest transit of all stations on Saturday February 16. 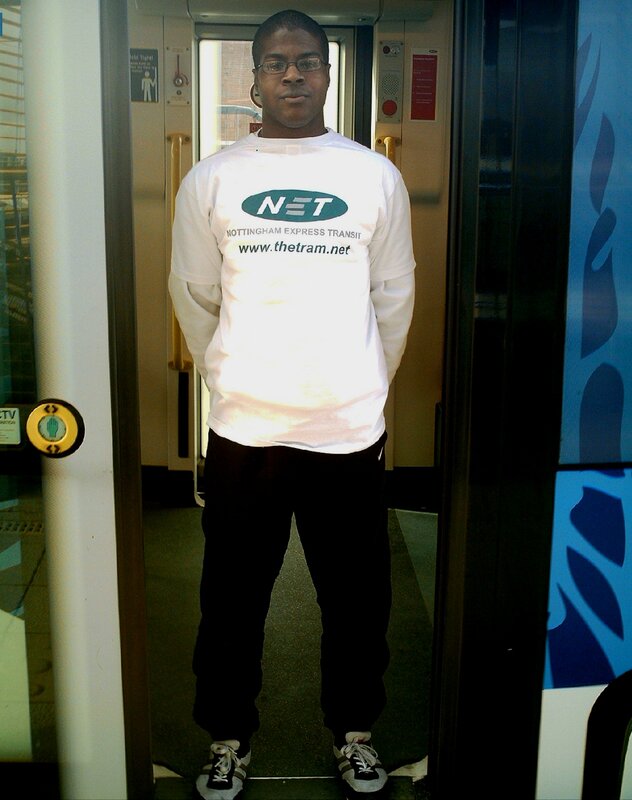 Adham wearing his NET T-shirt on his record breaking Nottingham tram system transit. Adham was supported by NET and the company's Marketing Manager, Florian Le Loroux. Read more on their news page thetram.net. 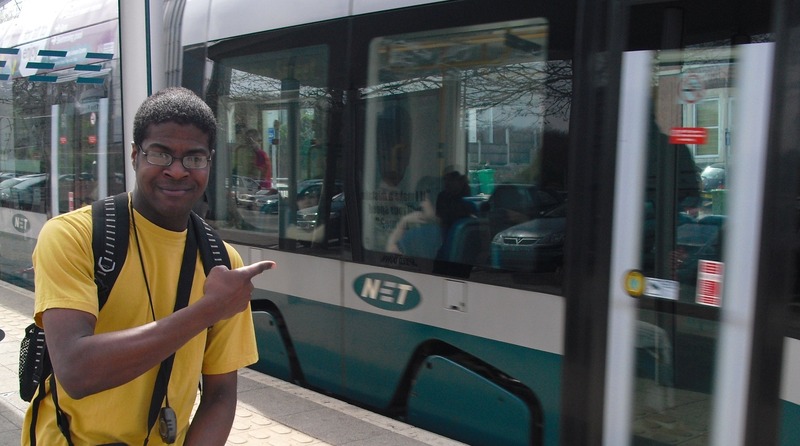 On Saturday 16 February 2013, Adham will be attempting yet another record breaking transport attempt when he takes on the Nottingham tram system. He will be supported in his record attempt by NET and the company's Marketing Manager, Florian Le Loroux. They hope customers will cheer him on as he dashes from stop to stop. NET will be presenting Adham with a special NET T-shirt so he'll be easy to spot on Friday, February 15 when he carries out a test run before attempting the record on Saturday.